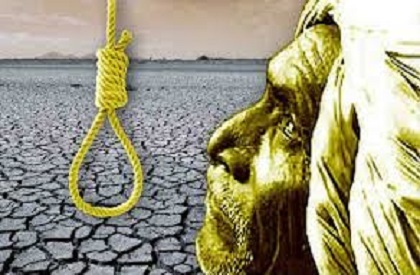 Congress has alleged that 21 farmers committed suicide in Madhya Pradesh in a month. Leader of Opposition in the State Assembly, Ajay Singh has said that this reflects failure of BJP government’s inaction in dealing with agrarian’s issue. Singh has said that chief minister Shivraj Singh Chouhan should ask Centre for relief for MP farmers. He said that MP government's schemes are nothing but gimmicks. The senior Congress leader said that the chief minister who used to make much hue and cry during the Congress rule has not dared to even send report over drought in the state to centre. He said that the chief minister had promised that if his government would become bankrupt still it would buy soyabean crop on support price, now as per his promise the government should buy it on support price. Ajay Singh demanding loan waiver, electricity bills waiver and bonus for the farmers asked the chief minister that looking at the extreme drought conditions in the state he (CM) should immediately seek relief fund from the centre and if for that he would have to hold sit-in or to do fast I would be with you. He said that three fourth of state’s districts are facing drought conditions but the government has neither declared any of the district as drought hit nor has it announced any relief. Last month 21 farmers committed suicide in the state including the one in chief minister’s home district.